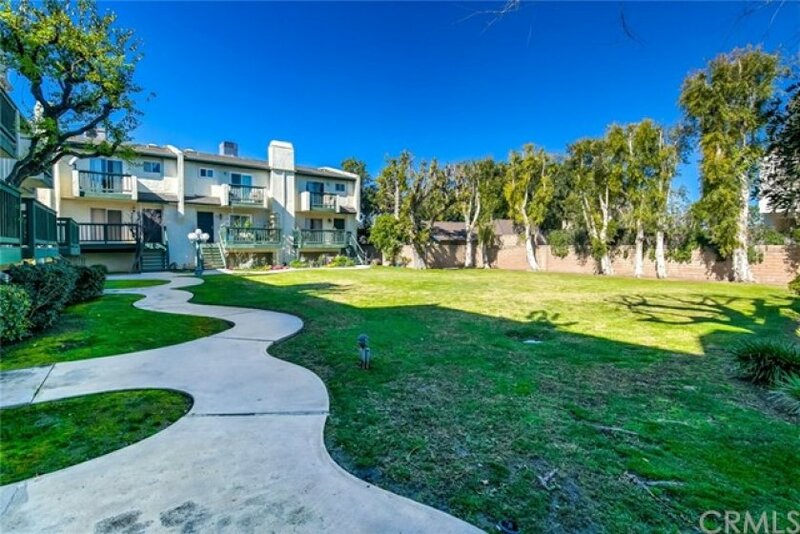 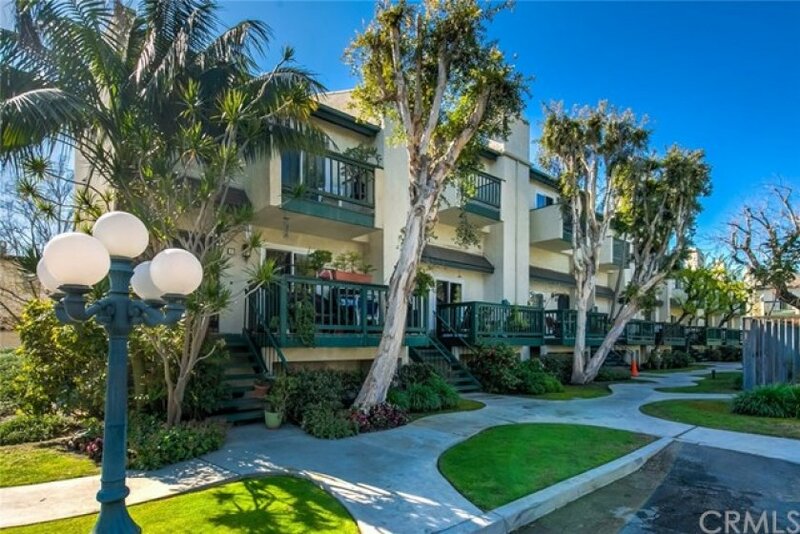 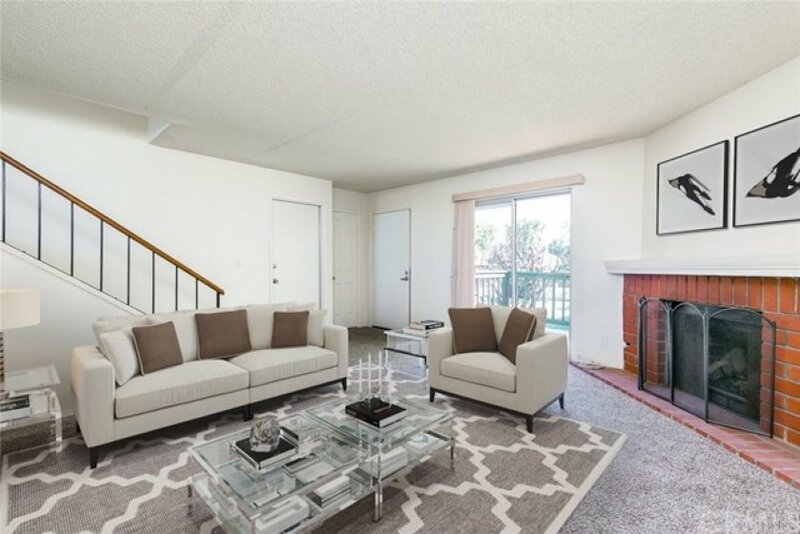 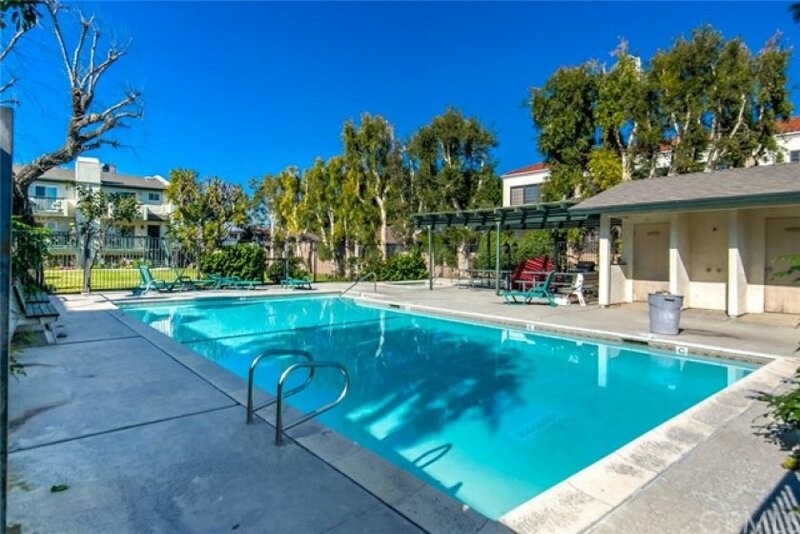 Welcome to your very own Old Town Tustin End-Unit Townhome situated on a greenbelt with view of the pool. 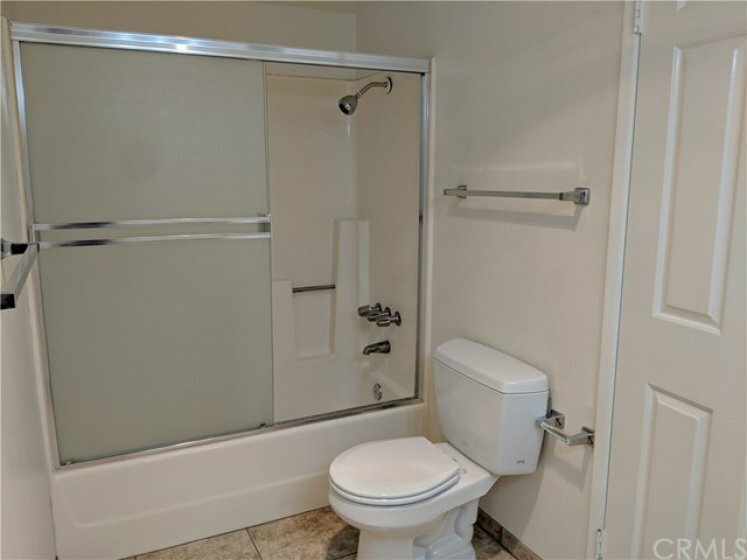 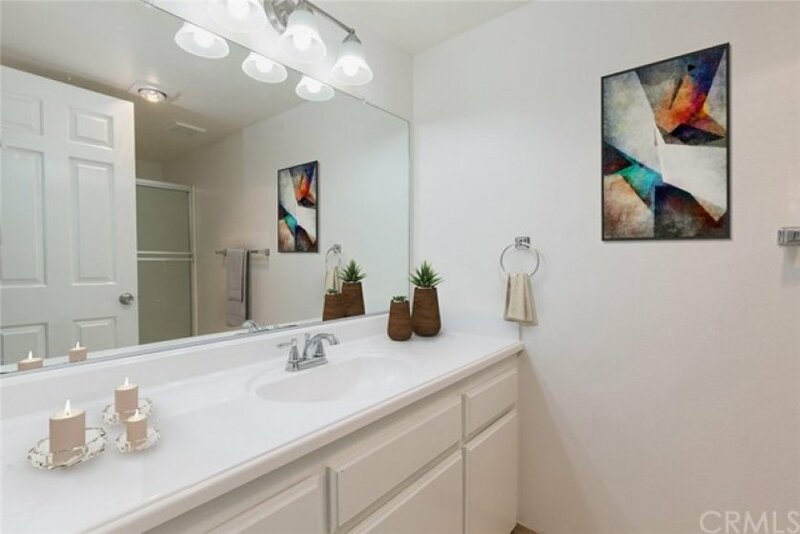 This turnkey residence has fresh paint, new faucets/handles, new lighting fixtures & elegant HI-MACS kitchen counter tops … tough, easy to clean, hygienic & stain-resistant. 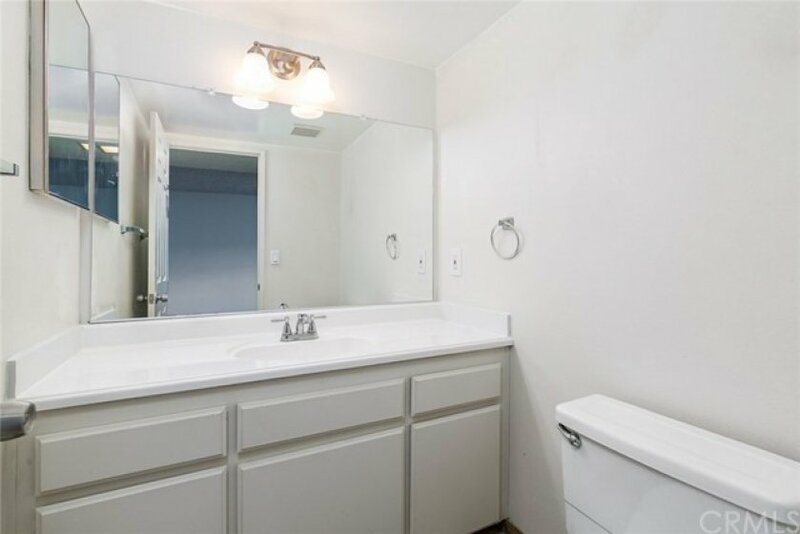 All Bathrooms have beautiful white quartz & marble counter tops. 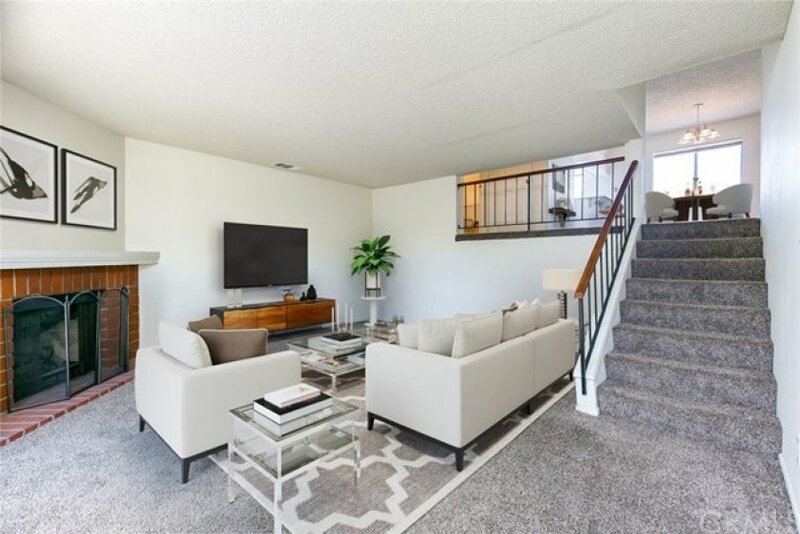 Natural sunlight & moonlight fill the hallway through the home’s skylight. 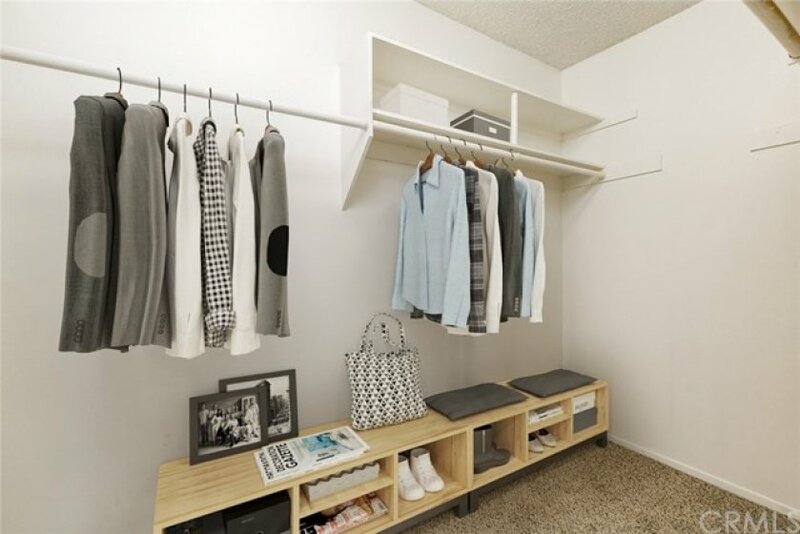 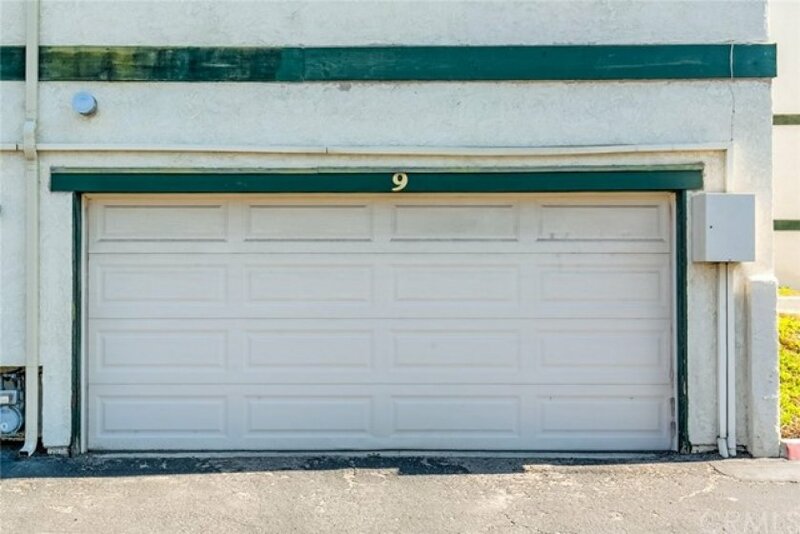 The home’s first level is the attached 2-car garage with direct access to the home and includes over 100 sqft of storage space at ground level. 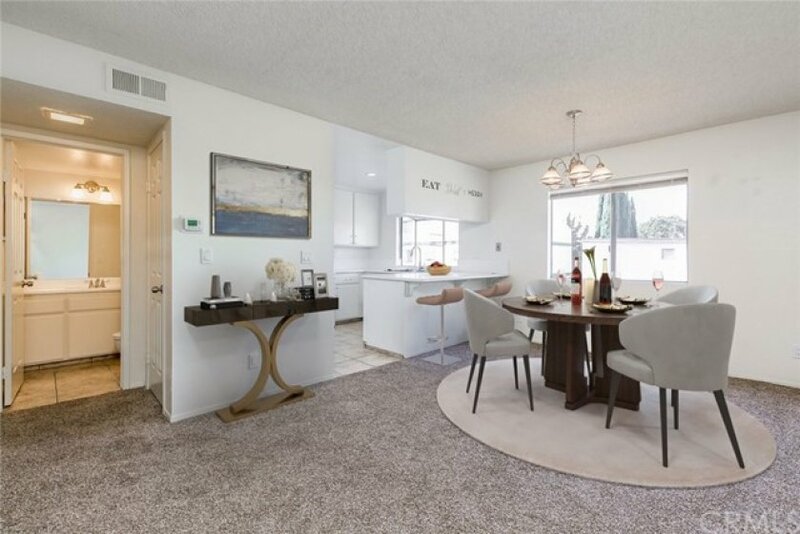 Kitchen is open to the dining area with a step-down living room. 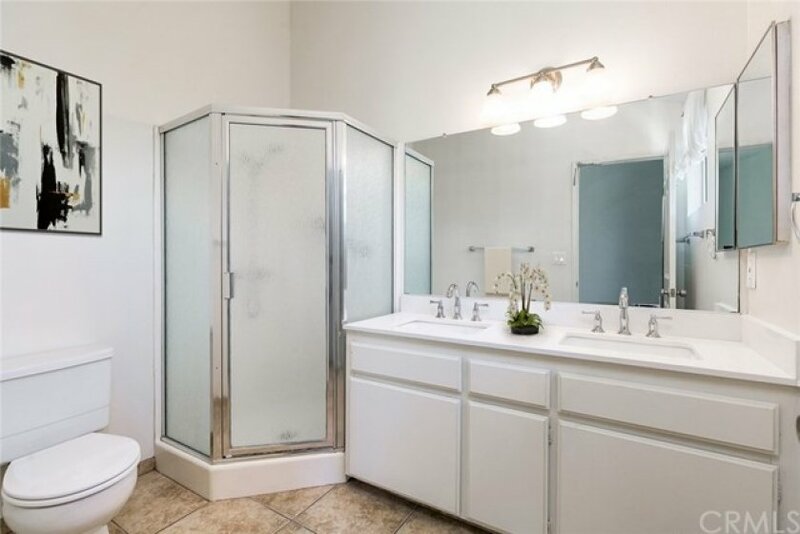 This desirable floorplan has two master bedrooms, separated by a split-level. 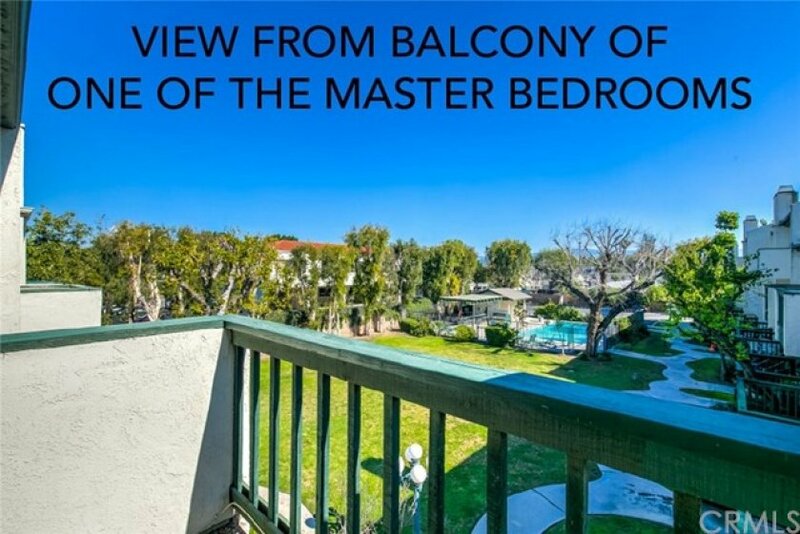 Lower level master bedroom has dual closets, dual sinks and a balcony with pool view. 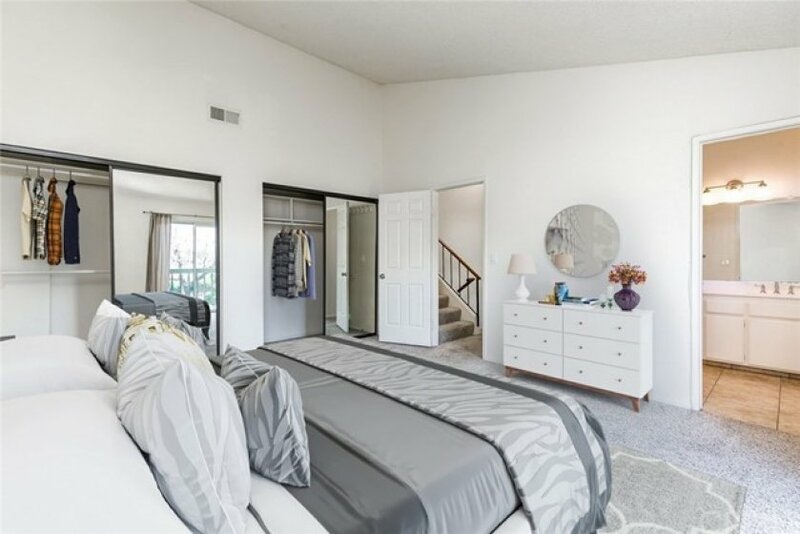 Penthouse master bedroom has a spacious walk-in closet. 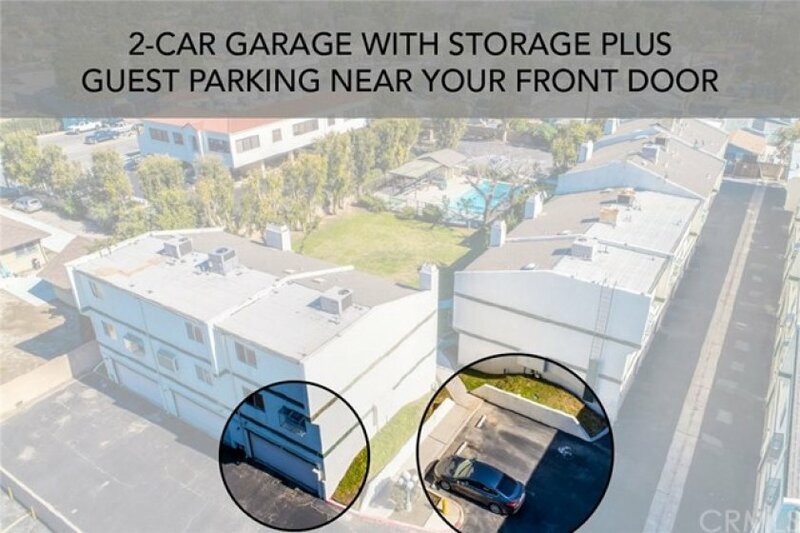 There’s plenty of parking for guests close to your front door. 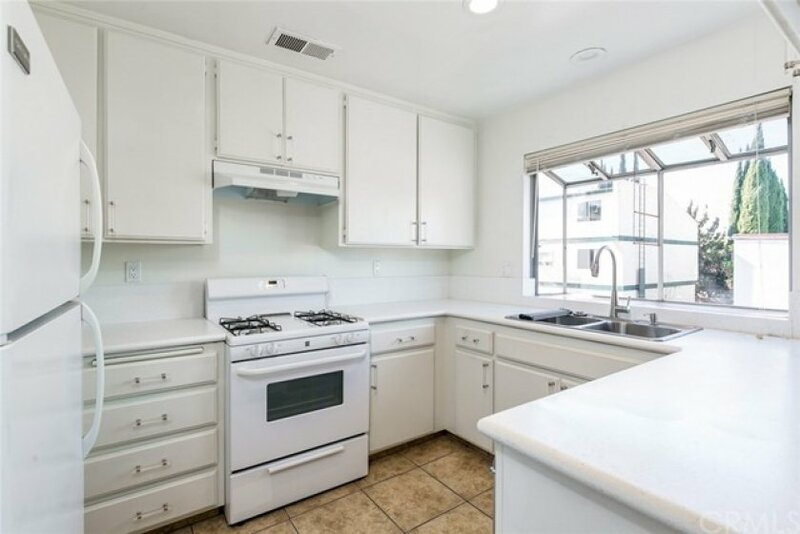 Price includes refrigerator, 4-burner gas stove, dishwasher, trash compactor, washer & dryer. 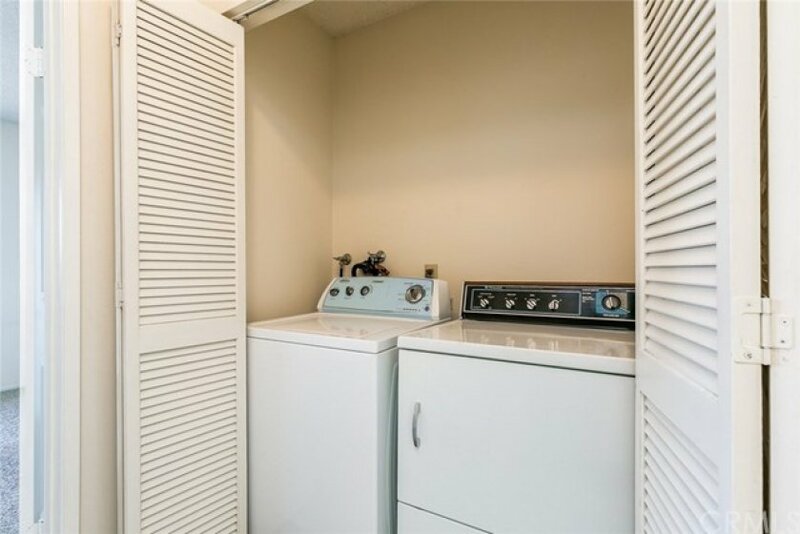 Enjoy newer water heater, AC & heater. 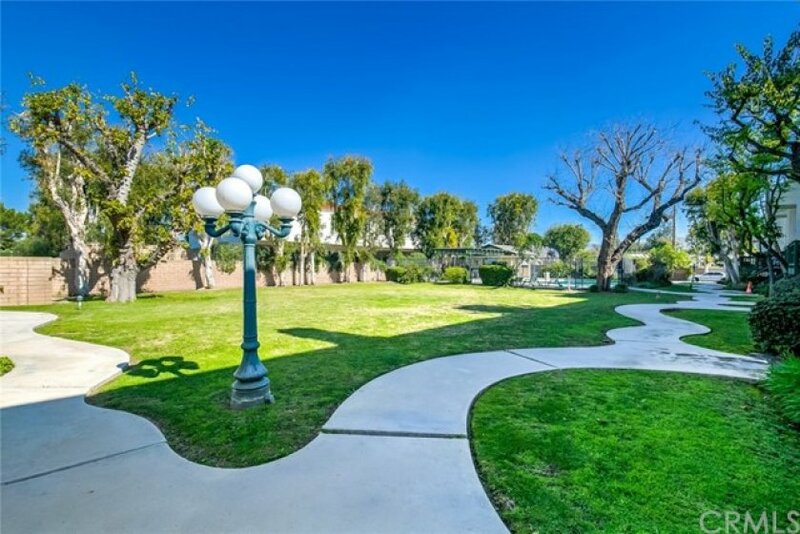 3-Minute walk to Peppertree Park with huge playground and complementary summer concerts. 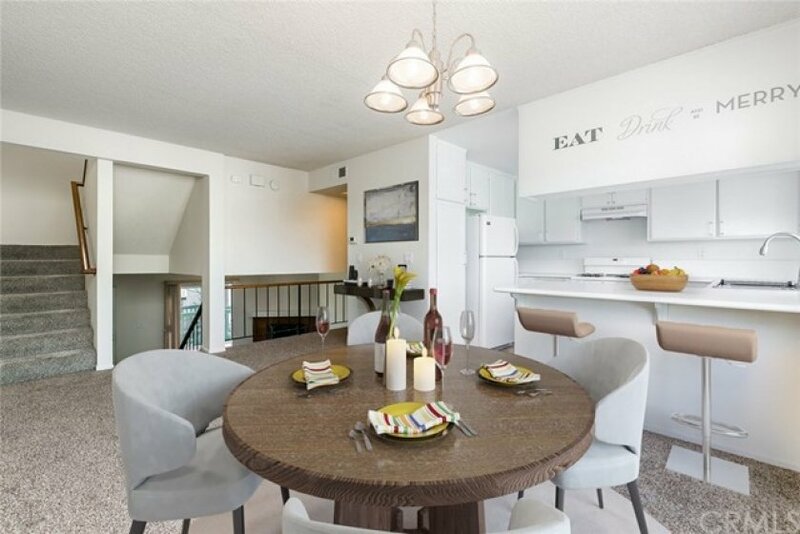 Within a 15 minute walk, you have the choice of over 25 restaurants! 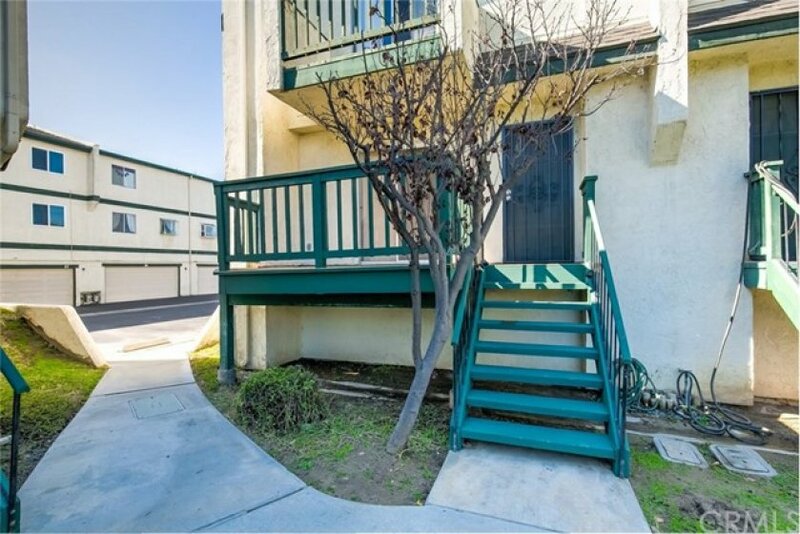 This is your chance to own an upgraded home in the heart of Old Town Tustin.